“Currently none of the existing treatment prevents the transformation to acute myeloid leukaemia and only delays the progression of the disease. The heterogeneity of MDS is the main barrier to the development of specific treatments”. 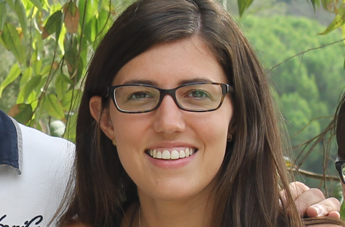 Vera Ademà is a 30-year-old biologist who is part of the team studying myelodysplastic syndromes conducted by Dr Francesc Solé at the Josep Carreras Leukaemia Research Institute. In her free time she likes enjoying little things in life: having breakfast at 09:30 with her lab colleagues, listening to music and dancing as if there were no tomorrow ;), reading mystery books, going out with friends, going to spinning class and doing yoga, scuba diving, traveling… She is definitely a very lively person, full of energy. Now, she is going to Cleveland (United States) for a few months, for a stay at the Translational Haematology and Oncology Research Department at the Taussing Cancer Institute at the Cleveland Clinic to focus on studying myelodysplastic syndromes in depth, where malfunction in the bone marrow and malignant myeloid anomalies are found. - Vera, what exactly do you do with the research team you belong to at the Josep Carreras Leukaemia Research Institute? Although in the last decade the scientific community has made significant advances towards understanding myelodysplastic syndromes (MDS), there are still no specific markers that make diagnosis and prognosis easier in clinical practice. It is because of this that our team’s goal is to improve diagnosis, follow up and prognosis of patients diagnosed with MDS. To do this, we apply mass sequencing techniques that allow us to analyse millions of DNA tumour samples from MDS patients at the same time. This way, we identify mutations in the tumour samples, which give us valuable information, for they allow us to define a molecular profile for each patient. Together with the patients’ clinical history, we can see what mutations can be associated to better and worse prognosis, and this way we can use our studies towards a diagnostic and prognostic goal. - Can you tell us what a myelodysplastic syndromes (MDS) is and what makes them different from other haematological malignancies? Myelodysplastic syndromes or MDS are a heterogeneous group of stem cell clonal disorders. This means the daughter cells present the same malignant alteration as the stem cell and, unlike other haematological neoplasms, these clonal cells retain the ability to mature, although the daughter cell cannot function as well, it cannot perform its task in a normal way. However, as the disease progresses, this maturing ability is slowly lost and the consequence will be a bone marrow malfunction and cytopenia (reduction of cell types under the normal range) in peripheral blood. The seriousness of the disease depends on many biological factors that can be translated into a wide range of symptoms, which impact the patient’s quality of life and survival. One third of MDS patients will suffer from the disease becoming acute myeloid leukaemia (AML). The two remaining thirds will have a combination of chronic anaemia, recurring infections, bleeding episodes and complications associated to cytopenia. - MDS are a heterogeneous group of diseases with different treatments and prognosis. How are they classified? Why are they different? MDS is one of the most common haematological neoplasms that prevails increasingly in people of advanced age. 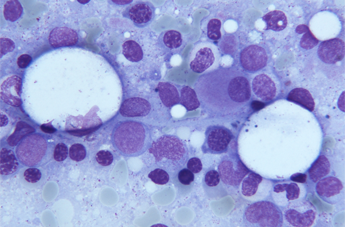 One of the characteristics of MDS is its heterogeneity, that is not only noticeable in the wide range of haematological manifestations, but also present important differences in patient survival and their evolution towards acute myeloid leukaemia (LMA). While some patients can die fast due to complications caused by the malfunction of their bone marrow or to an LMA a few months after their diagnosis, others present a stable course and can survive for many years. These differences have moved many researchers and doctors to design punctuation systems to be able to evaluate the risk each patient is under combining the different characteristics that present an independent prognostic impact. 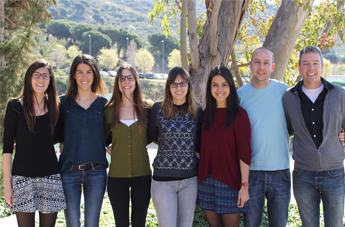 In fact, the team I belong to within the Josep Carreras Research Institute Against Leukaemia, has taken part in an international study to establish a new worldwide reference indicator to improve prognostic stratification for patients suffering from myelodysplastic syndromes (MDS). Depending on where the disease originates, MDS can be classified as primary (de novo) and secondary. Causes of primary MDS are still widely unknown although there are genetic and atmospheric risk factors (such as exposure to benzene, tobacco or radiation). Secondary MD syndromes or treatment related are normally developed years after patients have received chemotherapy or radiotherapy for the treatment of other cancers or autoimmune diseases. Both groups present molecular and cytogenetic alterations but have different frequencies and prognosis. Although they are less common, secondary MDS patients present a worse prognosis and an increased risk of transformation into acute myeloid leukaemia (AML). The relationship between MDS and AML has been previously established, for both diseases share mutations. However, more studies are necessary to document the transformation of MDS into AML. - Is MDS curable nowadays? There is no current curative treatment for MDS, a part from a bone marrow transplant, which is limited to young patients (under 60) and to those who find a compatible donor. Unfortunately, most MDS patients are outside this group and have very few treatments available. None of the existing treatments stops it from transforming into acute myeloid leukaemia and only delays the progression of the disease. The heterogeneity of MDS is the main obstacle in the development of specific treatment. There are no common or specific alterations in MDS subgroups and patients present different proportions of cells with different alterations. A part from this variability observed at a molecular, chromosomal or cellular level, interactions among these levels are unknown. - What are these alterations and why is getting to know them and studying them important towards each MDS treatment and prognosis? 50% of MD syndromes presents some main cytogenetic alterations, for example: 5q deletion (of 5q or 5q-) (the long arm of chromosome 5 is shorter), monosomy 7 (one copy of chromosome 7) or 7q deletion (shorter long arm of the chromosome), trisomy 8 (three copies of chromosome 8), deletion of 20q (shorter long arm of chromosome 20), 11q deletion (shorter long arm of chromosome 11), 12q deletion (shorter long arm of chromosome 12) and loss of chromosome Y. The detection of these cytogenetic alterations is basic for final diagnosis and prognosis of this pathology. The remaining 50% (with a normal karyotype) require additional diagnostic techniques such as FISH and microarrays, to be able to determine the possible presence of smaller and less frequent chromosome alterations. Applying these additional techniques is proved to have detected 15% of cryptic alterations, not detected by conventional cytogenetics. This will allow us to determine a more personalised treatment. - In the last few years your work has clearly headed towards the study of MD syndromes with a specific chromosomal alteration: 5q- deletion. What made you take an interest in this subgroup in the disease and what are its characteristics? Right now, my research is focused on patients with MDS and 5q- deletion. Between 10 and 15% of MDS patients (with an altered karyotype) present deletion in the long arm of chromosome 5. Depending on whether this alteration is isolated or accompanied by other alterations the patient’s prognosis will be very different. Although isolated deletion of 5q in MDS is connected to favourable prognosis and a low chance of transformation into acute myeloid leukaemia (AML), some patients with 5q deletion present an aggressive disease and an increased risk of transformation into AML. Currently, the World Health Organization acknowledges that an entity that presents MDS, isolated 5q deletion and transfusion dependency, can benefit from a treatment that is efficient in 70% of patients known as Lenalidomide (Revlimid®, Celgene). Despite the proven efficacy of this immunomodulatory drug (Lenalidomide), it is not a curative treatment and does not prevent the disease from progressing. 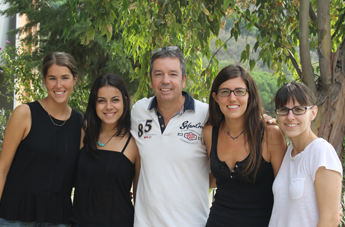 For years, the team I belong to, directed by Dr Francesc Solé, has been focusing on investigating this group of patients suffering from MDS and 5q deletion. Our goal, and what my own studies are focused on, is to understand this diversity and determine its characteristics at a molecular level to be able to understand why 30% of patients do not respond to the treatment and why not all the ones who respond do so in the same way. This is so we can look for therapeutic alternatives, whether with other treatments or through a bone marrow transplant. ● Tell us more about what lenalidomide is and why it represents a step forward in the treatment of some types of MDS. Lenalidomide (sold as Revlimid®), is analogous (similar) to thalidomide, administrated orally. Lenalidomide has been approved by the European Union (it was approved in summer 2013) for the treatment of transfusion dependent anaemia due to a low risk MDS with isolated 5q deletion. Lenalidomide is what we know as an immunomodulatory drug: a drug with the ability of increasing or diminishing immune response. It is also anti-angiogenic (it does not allow the formation of new blood vessels) and anti-neoplastic (it stops the development, growth and proliferation of malignant tumour cells). Therefore, lenalidomide administration produces excellent results, for patients reach a transfusion independence rate of 67% for 2.2 years and 73% of patients with cytogenetic response. The response to this treatment is very quick, in general (48.8% of patients who respond to the treatment do so in the first cycle, 37.2% do so in the second cycle and 9.3% do so in the third cycle). - At the end of last year, you took active part in a project published in Cancer cell magazine, offering new hope to MDS and 5q- patients. What was it about? It was a cooperative project with two American groups, where we combined studies on a cellular and murine level (with mice) and transferred the studies to MDS patients. In this study, we identified the CSNK1A1 (Casein Kinase 1A1) gene mutation in patients with MDS and 5q- patients and determined that when the gene has mutated patients respond better to the Lenalidomide treatment. This is very valuable information, for we didn’t have a gene that could be associated with the response of lack of response to treatment and now we have one that tells us the patient will respond to the treatment. - Now you are moving to the United States for a few months. What are you going to do? What does your stay in the United States represent for you and your career? I’m moving to the USA to Dr Maciejewska’s lab so we can join our efforts in the study of MD syndromes. 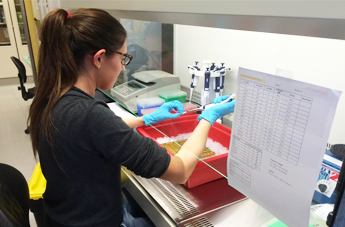 Currently, we are developing a project which consists in doing a mass sequencing of a patient’s tumour cells. What does this mean? With this new generation technique we can read the information in tumour cells, which means when we compare this information to the information of normal cells in the same patient we can see what changes have taken place. This way, we can gain a better understanding of the disease and what is going on with the patient’s genes. My stay in the United States will allow us to work in joint effort. There, they are analysing samples from patients with the same characteristics as ours and using the same technique, so my aim there is to analyse all the patients’ data and to combine clinical and lab data to find patterns that help us classify patients who respond better or worse to a certain treatment or can or cannot develop a more aggressive disease. Once I am there, I will also be involved in the verification processes, to see if we can detect these affected genes in other patients, both American and Spanish using new directional sequencing techniques so we can implement these new techniques in our lab. - What does your stay in the United States mean to you and your career? To me it represents a responsibility, because a lot of us have worked in this project, there are great expectations, hopes and eagerness to get some conclusions from all the work that has been done. Also, because I’m going to a lab well known for their studies in MDS. It also gives me personal satisfaction to be able to be the one going to Dr Maciejewska’s lab and to be able to do the complete analysis of all these patients. I am very grateful for the opportunity Dr Solé has given me. A stay in the United States represents a step forward in my career, at a moment as important to me as the end of the project is. It will provide me with experience and learning, the chance to see other ways of working and to learn form the best. I think it will be a very rewarding personal and learning experience. Learning from the best is very exciting!! 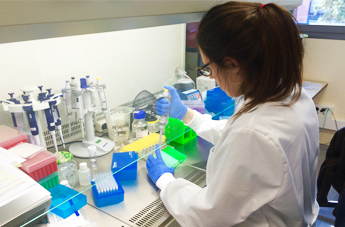 - What does working for the Josep Carreras Leukaemia Research Institute mean to you? To me, working at the Josep Carreras Leukaemia Research Institute is a responsibility, a motivation and a thrill. It involves responsibility because our projects are intimately related to patients, there are many patients and doctors who help us to develop our projects and this moves us to make the greatest possible effort. It is a great motivation because thanks to my group’s trajectory and because of the institution that supports us we can undertake ambitious projects that help us move forward in our research. It’s a thrill because all of us a building the road together and more and more of us are convinced that the study of leukaemia will help us diagnose, classify and treat patients better. I also would like to say I like having started working in the Institute from its beginning. It is exciting to participate and help it grow, and to be one of the people who has had faith in this interesting and stimulating project from the start.